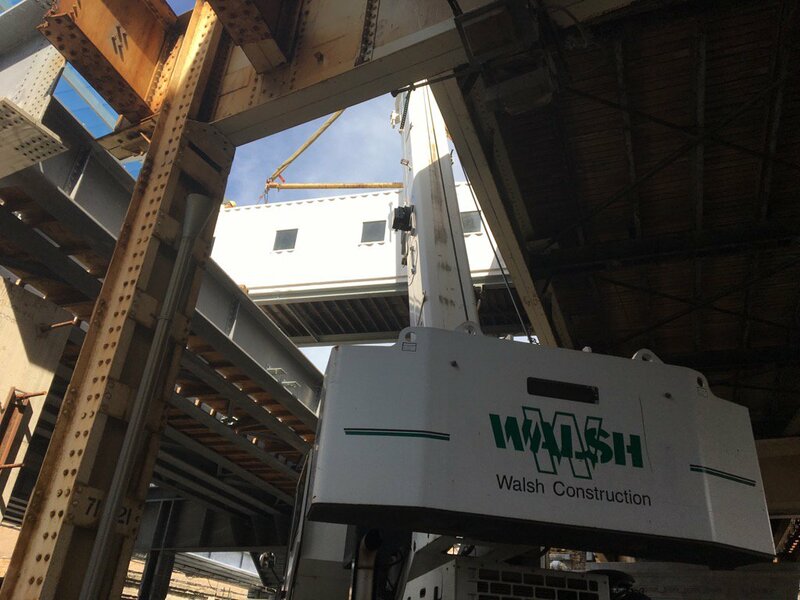 There's a lot going on with the Wilson Red Line construction right now. 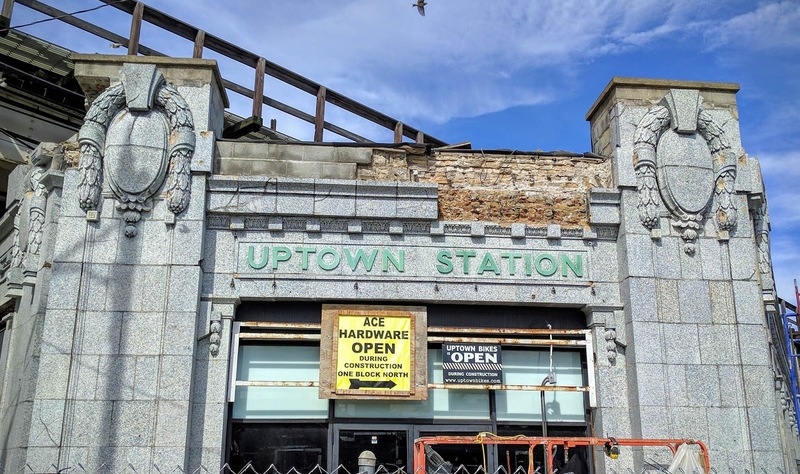 Workers are beginning to remove the stone facing from the Wilson and Broadway main entrance, and also from the Broadway side of the station. 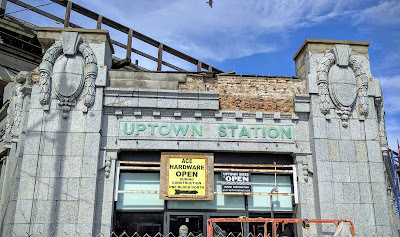 According to Chicago-L.org, "The main entrance was on the corner of Wilson and Broadway and was topped with an ornate terra cotta arched parapet and a fascia over the door that read 'Uptown Station.'" 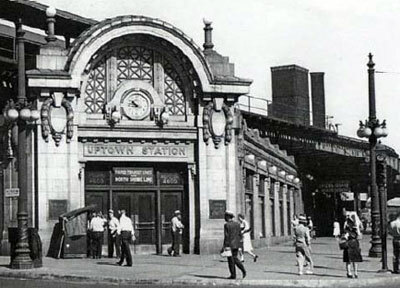 It was constructed in1923 and was designed by Arthur Gerber in the Beaux-Arts style. Imagine, this is the first time these tiles have been moved in nearly a century. The original clock tower and arch at the corner were removed sometime in the 1950s, and replaced by flat cinder block toppers. We will be glad to see those go! Above is the clock tower that was originally there, which CTA says will be rebuilt to recreate Gerber's historic design. Ald. Cappleman tweeted the photo above and says, "The transfer bridge at the Wilson L Station is now being removed so that another track can be added." We cannot wait for the old metal tracks and supports to be removed from Broadway, scheduled to happen late this autumn. I only hope they do this skillfully, and replicate the original terra cotta blocks, details, colors and texture as closely as possible. As much as I've been critical of it on this forum, I also hope the TOD planned for Broadway/Wilson is sailing through the approval process. And...when is Cedar St. going to get going on that project of theirs? Are they going to put the clock and arches back up? According to the CTA, that's the plan. You can see the renderings here. 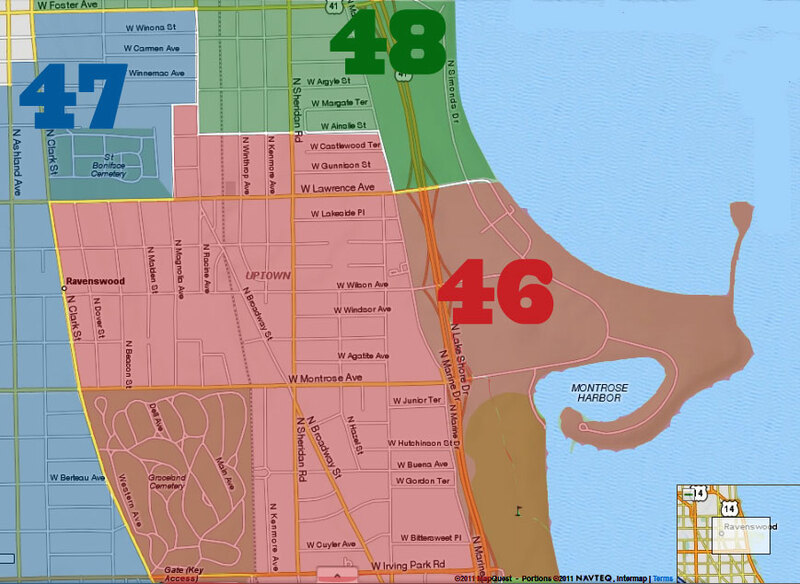 No clock in that CTA rendering. Um, yes there is a clock; just below the top of the center of the arch. Take a closer look...it's there. I must be blind. I'm looking for the clock in its original incarnation. 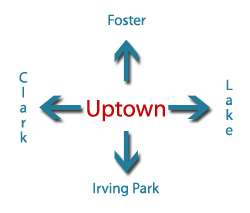 If you enlarge the rendering on the page Kate Uptown references, there does not seem to be a clock there.